Project management is the discipline of planning, organizing, motivating, and controlling resources to achieve specific goals. A project is a temporary endeavour with a defined beginning and end (usually time-constrained, and often constrained by funding or deliverables), undertaken to meet unique goals and objectives, typically to bring about beneficial change or added value. The temporary nature of projects stands in contrast with business as usual (or operations), which are repetitive, permanent, or semi-permanent functional activities to produce products or services. In practice, the management of these two systems is often quite different, and as such requires the development of distinct technical skills and management strategies. The primary challenge of project management is to achieve all of the project goals and objectives while honoring the preconceived constraints. The primary constraints are scope, time, quality and budget. The secondary – and more ambitious – challenge is to optimize the allocation of necessary inputs and integrate them to meet pre-defined objectives. S!GN 'Project Management Training Program' and their expertise in 'Project Management Consulting' is unique with 'Unmatched Expertise'. Project & Project Management Overview – Understand what is Project and difference between operations & project management. What is Program & Portfolio Management & how it’s associated with Projects. Project Life Cycle & Process Groups – Understand Project Life Cycle, from begin of a Project to End of the Project. Understand five phases of the Project, and learn how they are integrated. Project Initiation & Planning – How a project is initiated with Project Charter. Defining assumptions, risks, broader time lines & budget. Plan a Project with Scope, Time, Cost, HR, Procurement, Risks and Quality Management. Project Execution & Project Monitoring & Controlling – Understand how to execute the Projects. Understand how to control timelines, cost and scope of the project alongwith managing stakeholders expectations. Project Closing – How to close a project with performance appraisals, contracts closure etc. Understand how to integrate the entire project to meet the end objective. Project Scope & Time Management – Gathering requirements, defining scope. Learn how to create WBS, Network diagrams, develop schedules. 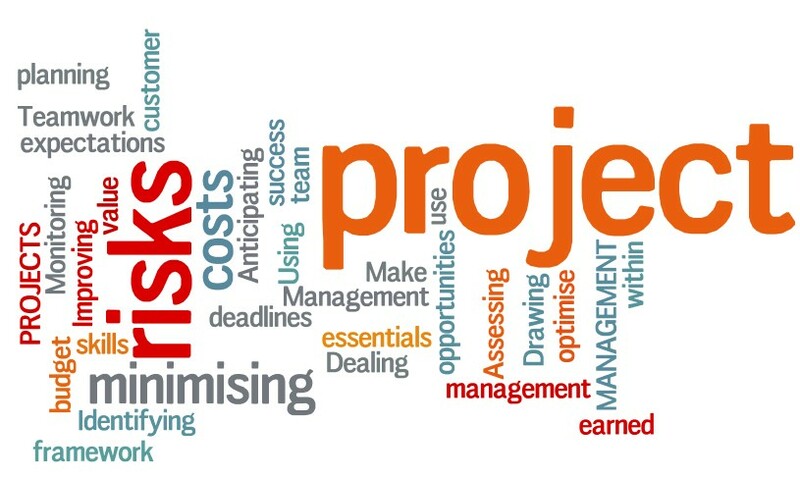 Project Cost Management – Understand how to determine costs with Project cost, Management cost, contingency costs etc. Learn earned value techniques to manage the project cost. Techniques for monitoring & controlling costs. Project Quality Management – What is Quality control and Quality assurance. How this is applicable to the projects. What are the tools and methods to define and implement Quality Control & Quality Assurance. Project Human Resource & Communication Management – How to acquire, develop and manage project teams. How to manage stakeholders, meeting project reporting requirements etc. How to meet stakeholder expectations by setting right expectations for communications management. Project Risk & Procurement Management – Understand what are known unknown and what are unknown unknowns. How to manage them, How to mitigate, accept or transfer risks. How to determine what is to be purchased, how to be purchased, when to be purchased, and other associated procurement things to be managed.